﻿ Historical Perspective or Racism in Little House on the Prairie? Imagine you are reading a book that you loved as a child, perhaps you are reading it to your young child, or that you are reading it for the very first time. You come across the words “the only good Indian was a dead Indian.” Do you put the book down in horror, shocked by the cultural insensitivity of the author? Do you decry the author as a racist and vow to never read another word? What would you say if you knew that these words are found in the beloved book Little House on the Prairie by Laura Ingalls Wilder? As Amy Fatzinger writes in her dissertation Indians in the House, Wilder raises “a great issue that was still problematic in the 1930s, when Little House on the Prairie was written and remains so today: the Euro-American preemption of lands occupied by Native Americans.” And, Wilder uses the voice of 7-year-old Laura to do so. The questions then arise, is this because Wilder is culturally insensitive or is she simply writing from her perspective, having been born in 1867 and writing in the 1930s? 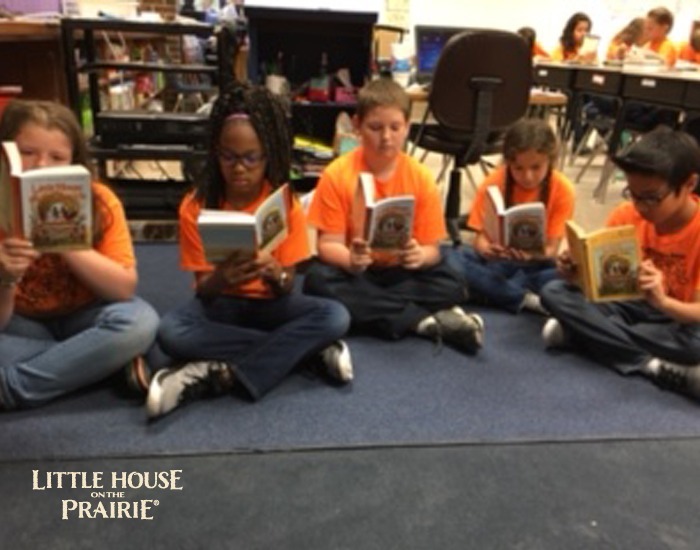 Fifth graders from Cleaveland Traditional Magnet Elementary School in Wichita, Kansas reading Little House on the Prairie. Reading Little House on the Prairie with children today requires explanation. I call them teachable moments. Before we begin to read the book in my classroom I take a few moments to talk about Wilder’s real life and the historical accuracy of her books. There is the truth as Laura wrote in her books and there is the truth of her real life. After all, Laura was only two when her family left Wisconsin and barely three when they arrived on the prairie. Obviously, she was cast as older than that in both Little House in the Big Woods and Little House on the Prairie. Laura’s stories come from an oral tradition. Her father was a storyteller and Laura herself said that her first books were an attempt to preserve the stories she grew up hearing. That is not to say that Wilder didn’t do her research as she wrote her books. But, we must remember, this was before the Internet. Wilder lived in rural Missouri, far away from libraries or universities with large reference sections. She did not have information at her fingertips. Laura had to rely on letter writing or long, slow trips to do on-site research as she did for Little House on the Prairie. As a result, some of her writing isn’t accurate. And of course, she was writing historical fiction, not an autobiography. But, to understand Laura’s story, we must understand the history behind the story. 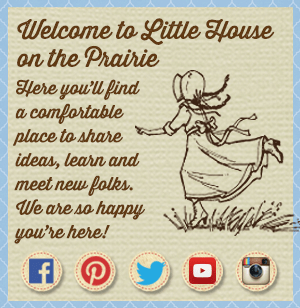 What do readers need to know when reading Little House on the Prairie? I am not going to attempt to give a complete history of the Osage people or the sad legacy of the systematic removal of Native Americans by the government of the United States. Here’s some information that will put things in perspective as you read. Little House on the Prairie begins with the Ingalls family leaving their little house in Wisconsin. Laura says “They drove away and left it lonely and empty in the clearing…They were going to Indian country.” But, they didn’t go there directly. Charles Ingalls sold his farm in Wisconsin in 1868. He moved his family first to Chariton County, Missouri and then on to Montgomery County, Kansas in late 1868 or early 1869. 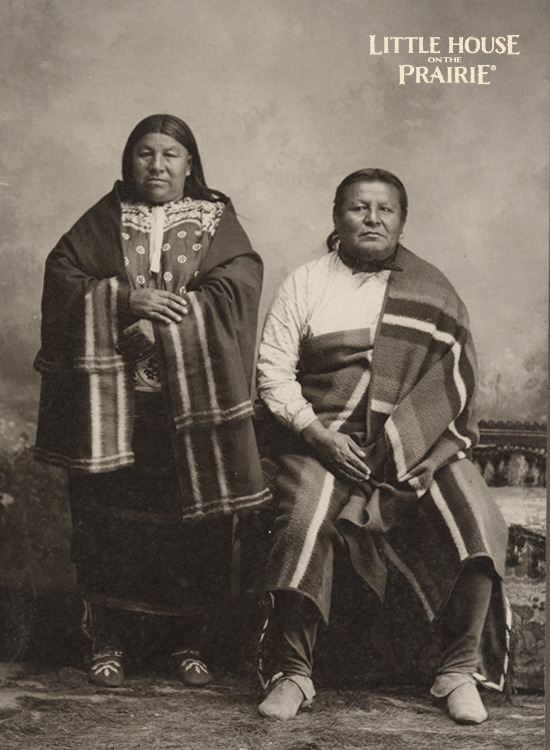 They were part of an illegal rush of settlers into the Osage Diminished Reserve commonly called Indian Territory. Few people today realize, and perhaps Laura herself didn’t know, that a section of Kansas was once called Indian Territory. We usually think of Oklahoma as being Indian Territory. However, beginning in 1808, the Osage tribe ceded several tracts of land to the United States government. The Treaty of 1825 established the Osage Diminished Reserve, a section of land about 50 miles wide and 125 miles long in what is now south-central and southeast Kansas. In 1868, the Osage were facing dire economic circumstances. The government had not paid them what was owed due to the great debt incurred by the Civil War and hunting was becoming scarce due to the settlement of the western frontier. 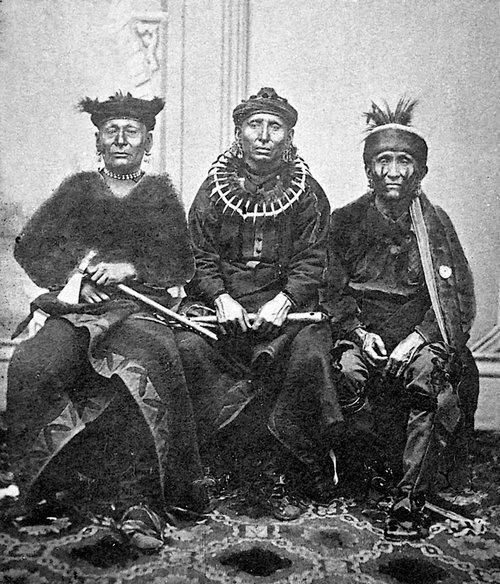 The Osage were forced once again to negotiate with the United States and signed the Sturgis Treaty. This treaty said that the Osage would sell their land to the Leavenworth, Lawrence, and Galveston Railroad and buy land from the Cherokee further south and move there. News of the impending opening of Indian Territory reached land-hungry settlers back east and caused an illegal land rush into the area. Congress refused to ratify the Sturgis Treaty, fearing a backlash from their constituents who favored free settlement of the land under the Homestead Act of 1862. The Ingalls family was part of the wave of squatters or illegal settlers who entered and established homes in Montgomery County. Whether Pa knew this or not is open for debate, but it is highly unlikely that he would have been ignorant of this fact. 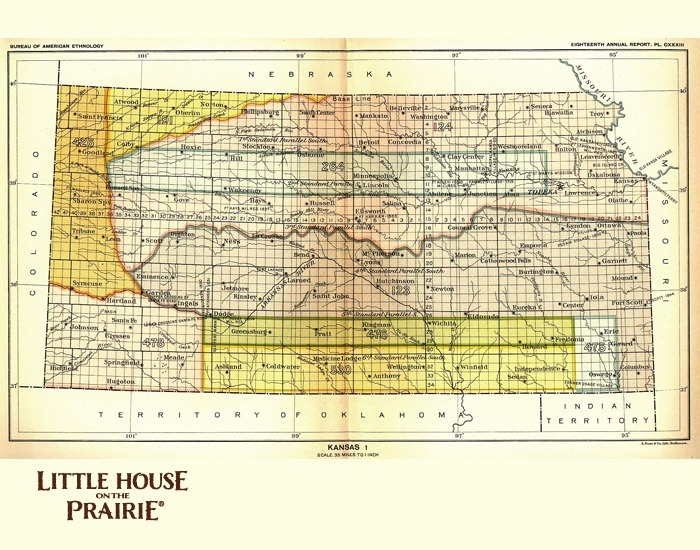 In Little House on the Prairie Ma tells Laura that “Pa had word from a man in Washington that the Indian Territory would be open to a settlement soon. It might already be open to settlement. 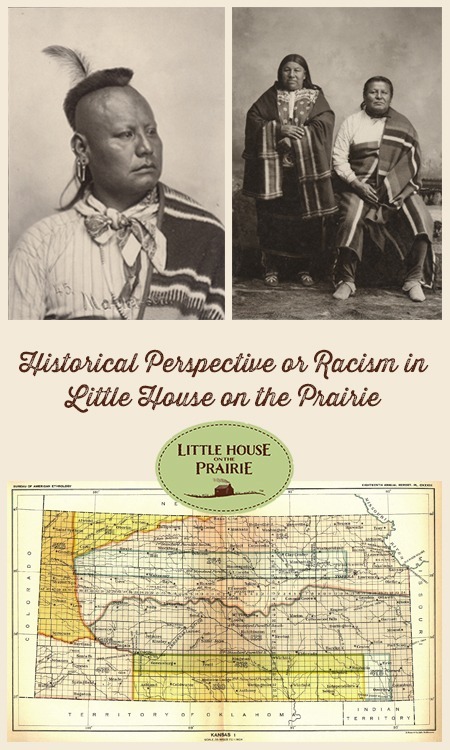 They could not know because Washington was so far away.” Pa was most likely betting that the government would allow squatters to claim homesteads once the Osage were removed. When most of the settlers arrived in Indian Territory, the Osage people were off on their annual hunting trips further west and it may have appeared that the land was unoccupied. Although the land that Pa chose was obviously next to a well-used trail, he preferred to think of the land as unsettled. 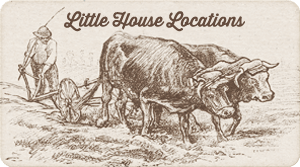 In the early pages of Little House on the Prairie, Laura quotes Pa as saying that animals wandered “in a pasture that stretched much farther than a man could see, and there were no settlers. Only Indians lived there.” As did all of the settlers, Pa chose to ignore the fact that the land and everything on it belonged to the Osage people. He freely cut logs to build a house, hunted wild game for food and furs, dug a well and broke the land for farming. When the Osage returned from their trip they found their home and their lands occupied by all kinds of settlers who, in their minds, were stealing from them. Under the provisions of earlier treaties, the Osage had the right to charge squatters rent if they wanted to. Laura tells several stories of Indians coming to the Ingalls’ home and demanding food and other goods. They sometimes just came and took whatever they wanted. The Osage saw it as collecting rent. Ma saw it as an intrusion by uninvited guests. Ma was terrified of these visits. Wilder says that Jack, the Ingalls’ bulldog, hated the Indians and Ma said she didn’t blame him. Laura asks Ma, “Why don’t you like Indians, Ma…This is Indian country, isn’t it? What did we come to their country for, if you don’t like them?”; But why was Ma so afraid of the Osage? In order for readers to understand Ma, you need to understand where she was coming from. 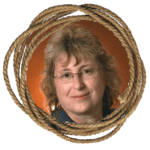 Dr. Laura McLemore as Laura Ingalls Wilder. Laurapalooza 2012. 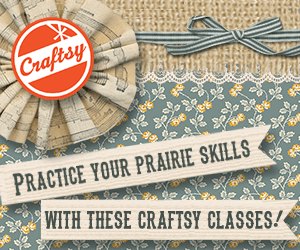 How can we help children develop an understanding of the historical perspective in Little House on the Prairie? I suggest we talk about whether Ma’s fears were justified. Ask if people have an unjustified fear of other races today. Does racism still exist and if so, is it found in every race? This past year my class talked about the riots in Ferguson, Missouri and the media’s portrayal of events there. Discuss how it would feel to have strangers walk into their home uninvited and take whatever they wanted. How would they tell the story to someone else? These kinds of questions will help children understand the historical perspective and that right or wrong, people have their own belief systems, then and now. We may feel today, given our 21st-century sensitivity, that Ma was wrong to fear the Osage or that Mr. and Mrs. Scott were racist. And we are right, in our times they are. But I suggest that rather than banning books or refusing to read them, we use them as a platform for examining the history of the United States. 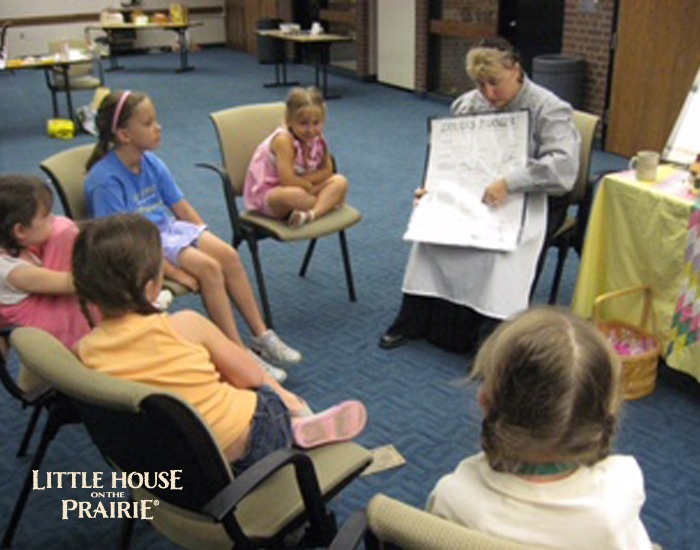 What better way to learn our history than by reading a classic like Little House on the Prairie and using it as a platform for discussion? We recommend reading Bury My Heart at Wounded Knee: An Indian History of the American West by Dee Brown. The chapter about “Little Crow’s War” provides important context to the Dakota uprising in Minnesota. Other worthwhile books are Through Dakota Eyes: Narrative Accounts of the Minnesota Indian War of 1862 edited by Gary Clayton Anderson and Alan R. Woolworth and Over the Earth I Come: The Great Sioux Uprising of 1862 by Duane P. Schultz. There have been many fascinating books written about Laura Ingalls Wilder and her daughter and editor Rose Wilder Lane. We invite you to visit our Recommended Reading section to find books for children and young adults and for adults. These books explore different areas of Wilder’s life and work, often bringing new and unexpected interpretations to a wide range of topics. They include classic titles and newer works. You may also be interested in an entertaining and educational documentary film about Laura Ingalls Wilder, which is appropriate for all ages. The DVD contains an interesting bonus featurette about Native Americans and African Americans on the prairie. An educator since 1983, Laura McLemore was destined to a lifelong love of Laura Ingalls Wilder. Her mother read Little House in the Big Woods in second grade and named her second daughter after the beloved author. McLemore portrayed Laura Ingalls Wilder for the first time in 1993. Since that time she has shared Wilder’s life across the Midwest. Laura lives in Maize, Kansas and is a fifth-grade teacher. I have books from my childhood that I read to my kids. 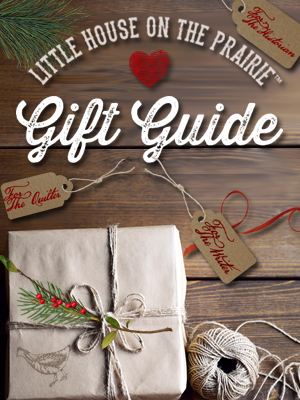 The Little House books are among those. When we get to a spot where things get politically incorrect I just say, “People didn’t know it wasn’t nice to say those things back then.” My kids barely blink. Don’t make it a big thing and it won’t be. We have a book on great white sharks from my childhood. It is called “Man-eating Killer Sharks.” My kids love it – even though today we know that sharks do not hunt for humans. Times change. Autres temps, autres mœurs. Why are some people trying to erase history and rewrite to suit their views??? 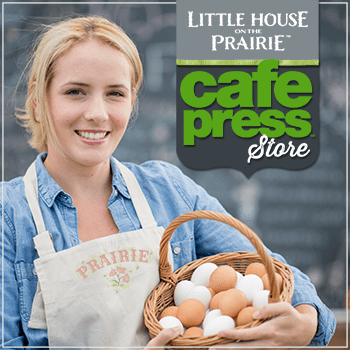 I have the whole collection of Little House on the Prairie books. I have read them so many times! I read them to our son when he was little. We certainly enjoyed the TV show. The stories in the books are told through the eyes of an intelligent, curious, answer seeking young girl who lived a life none of us are now living. Yes, times have changed, and attitudes for the most part have changed, but one should never try to change history and what life was like back then. LEARN from history! These books should be read, shared, discussed now and with future generations. We cannot and should not rewrite history. Conflicts between peoples were and are real and all readers should be able to read about these issues and, of course, be able to question values and mores of the times, from the author’s perspective. From the author’s “perspective” is the important part. How else would we learn about the conflicts, thoughts, and outcomes of these situations that will occur in all our lives; all of them shaping history? We don’t all think alike, nor do we always agree with others’ views of our world. This is how we develop our viewpoints. This is why it is important to be present when our children are reading things that may not reflect our own values. Open dialogues should be part of book discussions with children, always encouraging them to share their questions and views. I find it amazing that so many people equate the “the only good Indian is a dead Indian” thing with Laura being racist. She was not racist. She was simply quoting someone else’s thoughts, which were likely stated more out of fear than anything. And yes, while there is more cultural and political sensitivity today, it does us no good to compare the mores of the 19th century to those of the 21st. The difference is far too vast, and in the end, we are all products of our time. When I read historical fiction and non-fiction, I am enjoying a journey on a time machine. To read the thoughts, beliefs and experiences of people who once were alive and living their lives every minute of every day is fascinating. It’s not my place to judge or justify them…but rather, to understand them from their perspective, to learn from them and mostly to enjoy the stories. I cannot express how refreshing it is to read the previous comments. I agree with them completely. If we do not know the true history of our nation’s/culture’s past, how can we prevent ourselves from making the same mistakes? Let us use common sense, face our past errors honestly, and not doom ourselves to repeat them Explaining to children that during this time, the settlers did not understand the cultures of the various Native tribes and would say things and make sad choices out of fear is a simple truth every child can appreciate. I think reading the books with children and taking the opportunity to use some of the racist viewpoints of characters to open up a discussion about race in America is a great thing. Teachers should do this. These things should not be swept under the rug or ignored. While one may assume that we’re all going along in 2019, you never know what children are being exposed to at home, as evidenced by our current rise in racially motivated attacks.